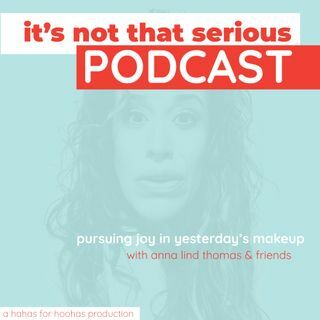 Humor writer and popular online personality Anna Lind Thomas hosts the irreverent, hilarious and faith filled podcast that will inspire you to fully enjoy life, even when things look grim. First step? Stop taking crap so seriously! Funny stories, celebrity interviews and some sneaky life coaching all in one podcast. What else do you people want?!?! It's Not That Series airs every Monday and INTS: Hilarious Short Stories airs every Wednesday. INTS: Check My Cervix Once, Shame on You. Check My Cervix Twice, Shame on Me.